American democracy is dependent on free and equally accessible quality public education. Without that, the bedrock of what we hold dear would deteriorate. 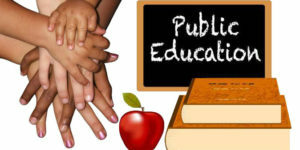 The founding principle of everyone is equal with equal opportunities, a principle we currently aspire to achieve, is only possible by fully funding public education. 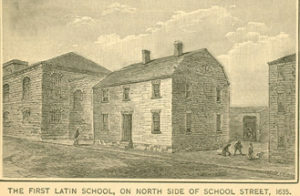 The first American public school opened in Boston, Massachusetts in 1635. The first free public school opened in Dorchester, Massachusetts in 1639. Of course, these schools weren’t open to Indian children, slaves, or indentured servants. Integrated schools were attacked and burned prior to the Civil War and the Emancipation Proclamation. It wasn’t until then that it was no longer illegal for communities of color to be educated. Jim Crow laws in the American south in the late 19th century segregated schools out of fear of integrating the races, to siphon funding from black schools, and ensure that opportunity and quality public education were only available to white students. At least until the U.S. Supreme Court decided Brown v. Board of Education in 1954 ruled that separate was not equal therefore integrating American public schools. In Tennessee, county by county battles were fought to integrate the schools after 1954. Law suits were still being filed in after the Civil Rights Act of 1964. In Nashville, an integrated elementary school was bombed by John Kasper, a far-right activist, the day before it was slated to open. On January 15, 1965, a federal judge ordered the schools in Johnson City, Tennessee to be desegregated— 11 years after Brown v. Board of Education was decided. The Virginia General Assembly and the Virginia Governor went so far as to close the state’s public schools in 1958 and 1959 as a way to fight the United States government enforcing desegregation. In 1959, the Virginia Supreme Court and the U.S. District Court ruled that Virginia closing their public schools violated the Constitution. Photo Credit: NPR for Oregonians. There was no length by which segregationists would go to keep their children out of integrated schools. “White flight” in the 1950s and 1960s essentially re-segregated public schools as white families left urban areas— suburban areas that limited or banned people of color— to ensure their children their families weren’t living or being educated in integrated communities or school houses. During this time, an insurance of private schools, especially faith-based private schools, were created as a safe haven for white families to send their children for a nonintegrated education. 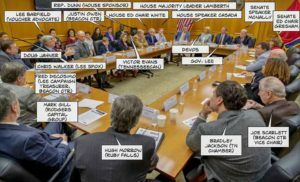 Governor Lee’s proposal for Education Savings Accounts is a fancy way of promoting voucher programs— programs designed to further dismantle America’s integrated public schools and fund private schools that predominantly educate white, upperclass children. Public schools have been under attack for decades. Funding for school systems is derived by property taxes. There’s a reason Johnson City and Kingsport City Schools rank high in the state while county school systems, school systems in more rural areas, are struggling. These struggles include student supplies, teacher pay, updated and safe facilities, etc. And now, in the era of school shootings, relying on teachers to do the job of legislators in keeping students in their classrooms safe. All legislators want to do is arm them, funding that could be allocated to cover the deficit in resources and teacher pay instead. The first modern voucher program was passed in Wisconsin in 1989. Now, the public education system in Wisconsin has deteriorated, hurting students— disproportionately affecting marginalized and poor communities. In 2015, the Wisconsin Super Intendant went on record stating that the state legislator’s proposed legislation, “erodes the basic foundation of Wisconsin’s school System.” Before Betsy DeVos was the Education Secretary, she spent years in Michigan tearing apart the state’s public education system by implementing vouchers. Test scores in Michigan have spiraled downward, further proving that vouchers do not protect or advance American systems of education. But that doesn’t seem to stop the elected Republicans in Tennessee or across the nation from trying to push their agenda on vouchers and dismantle America’s public schools. When a government defunds and defunds a program— such as public schools— and then points to the system at failing. It’s the voters’ responsibility to call out these elected officials because they are the ones who decide the level of funding the school systems receive. But we haven’t. We’ve continued to elect more of the same, further deteriorating our public school systems, and now we find ourselves in a crisis situation. Still, vouchers are not the answer. As the bedrock of our Democracy and a core tenet of America, public schools are still and always will be the answer. And like all things, to get a quality anything, we have to invest in it. We have to invest in it equally to ensure that all students in all schools receive a quality education that will prepare them life, prepare them for their future careers, and prepare to understand and participate in our democracy. Governor Lee’s voucher program should be opposed by everyone across the state of Tennessee. Educators on both sides of the aisle are speaking out. It’s abhorrent that Tennessee’s education system is underfunded by half a billion dollars and that elected Republican leaders continue to endorse funding cuts and voucher programs across the state. 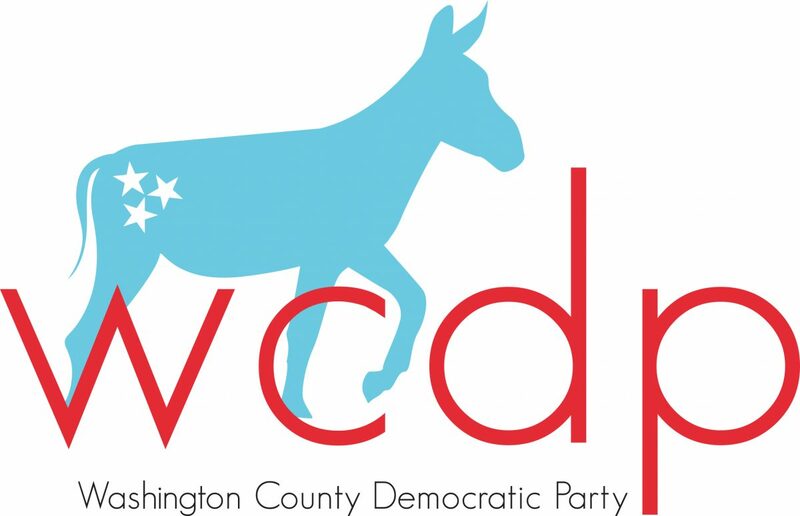 The responsibility is now ours, that we must lobby our elected leaders to fully fund public education and then on election day vote for Democrats who pledge to fully fund the state’s public education system. This is 1 million school children’s futures from across the state that are on the line. The bedrock of American democracy is on the line. And the choice is ours.